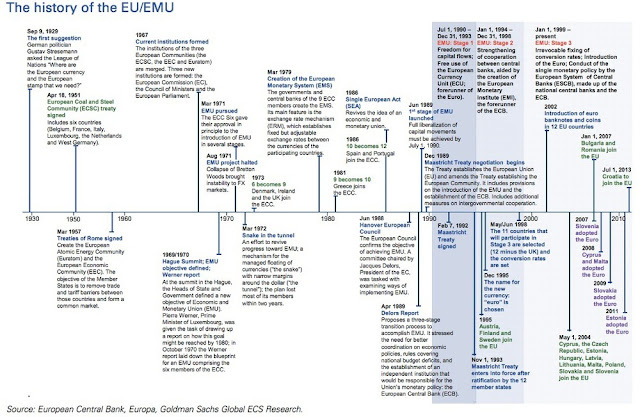 Large overview of the history of the EU and the implementation of the Euro. From the first suggestion for a common European currency in 1929 until Croatia joining the EU in the beginning of 2013. Hi this is wonderful to said, i can suggest more reviews here. It was really good for collecting more information about Europe. Thanks for sharing real types of information here. It can take wonderful history for the readers. Thank you for sharing the history of Euro zone.